faith and understanding in the book will be of significance to any family facing loss. 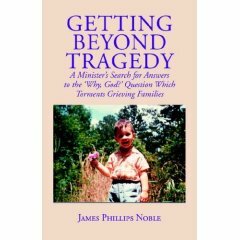 Especially notable is Noble's heartfelt, thoughtful essay, "Tragedy and the Will of God,"
reflection and an important tool for those dealing with grief. Phil, Jr., and Scott) and two grandchildren. He is retired and living in Decatur, Georgia. MBF Press, toll free 866-639-7688, or www.mbfpress.com/gbt. ISBN: 0-9785311-0-8. Trade paper, 164 pages, $14.95.